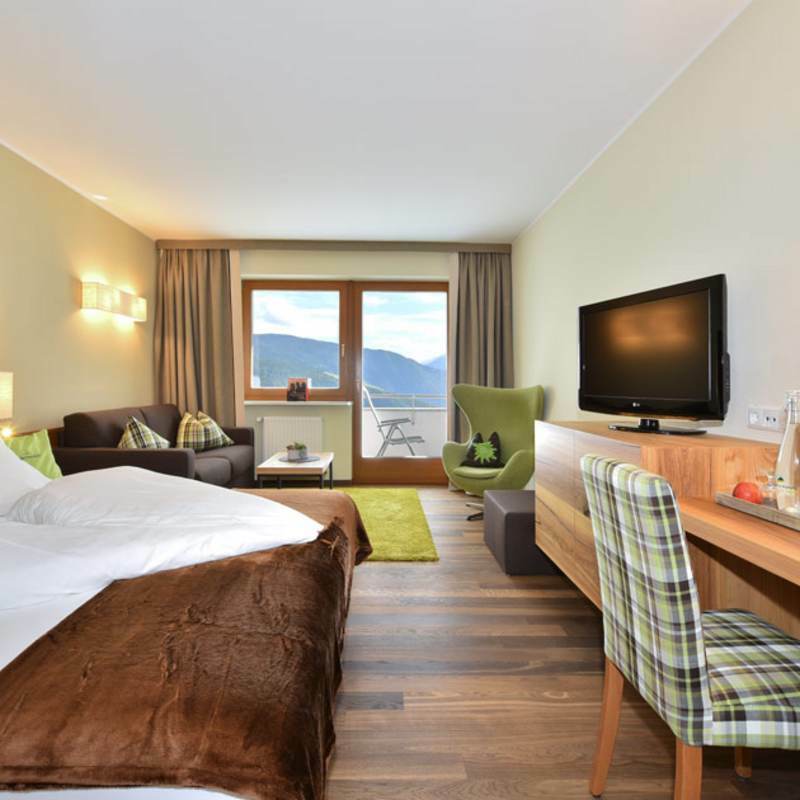 your hotel in South Tyrol. To be honest, the most beautiful place in the mountains is the great outdoors. And the Ski & Almen Region Gitschberg Jochtal provides plenty of opportunity to be outdoors. Still, we have spared no effort to create rooms that you would want to revisit again and again. 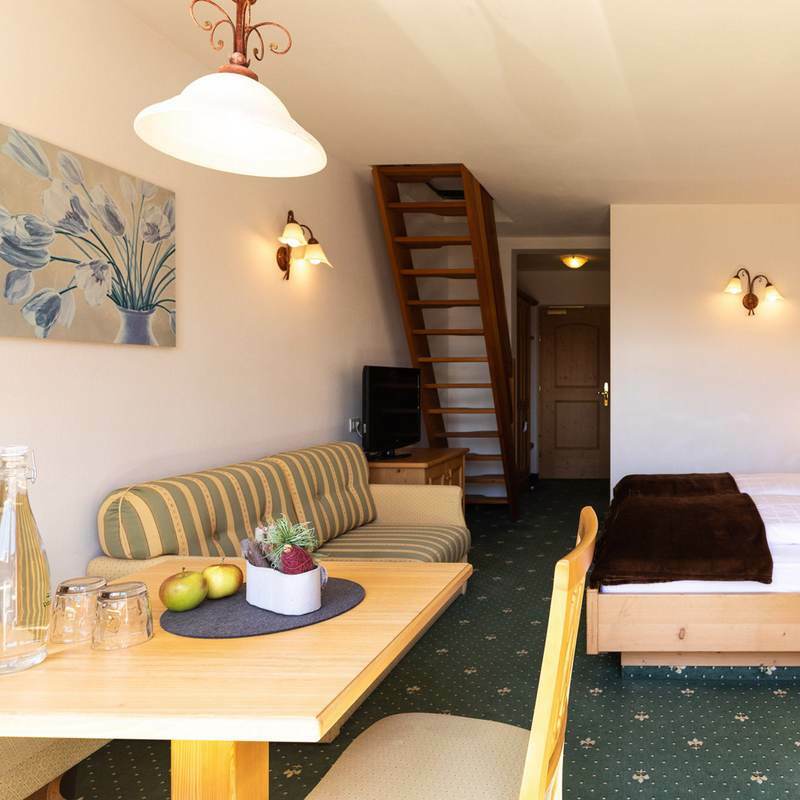 Our rooms in South Tyrol sport luxurious beds, a fantastic location at the heart of Meransen, balconies with excellent views and generous space for you to plan your next mountain adventure. Between 30 to 70 square metres of pure happiness await in elegant living spaces furnished in precious larch wood. Some of our rooms also feature elegant oak parquet. 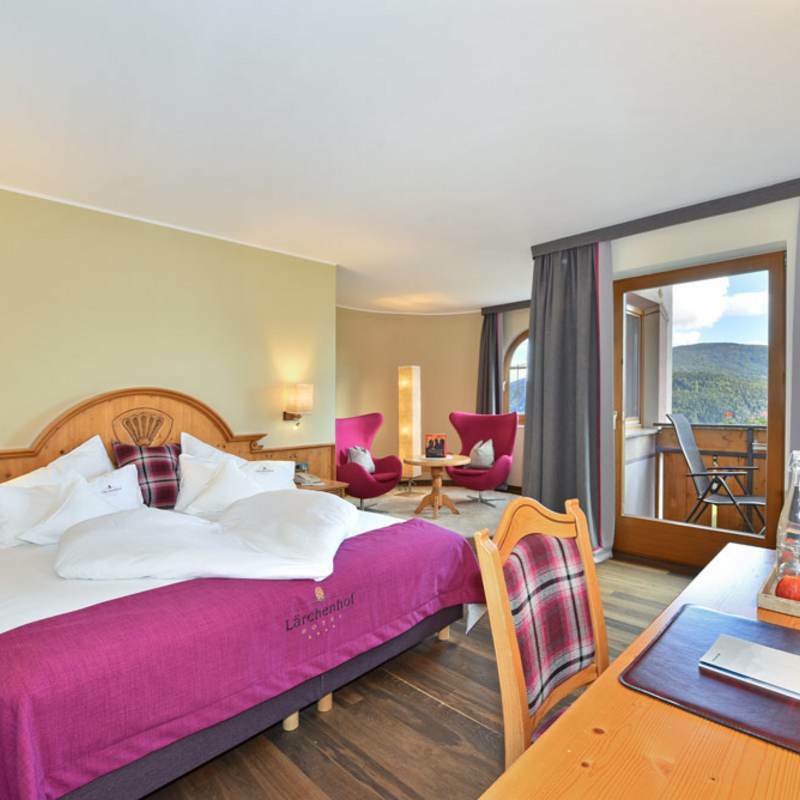 What they all have in common, though, is that their cosy ambience makes the smallest four-star hotel of the region also the most welcoming base camp in the world. Our included services make for even more highlights. mountain adventure with classy four-star luxury at the best rates. The HOTEL OF THE MOUNTAINS.